Please type your desired tags, e.g. Infectious Disease, Fibrosis, Emerging Media Art, Cancer Genomics, HiC, Communication Theory, Grant Writing, Marketing, Supply Chain, Business Communication, Health Policy, Gender Equity, Leadership, Holocaust Studies, Translation studies, and etc. Neurolinguistics: Pathology of speech in aphasia and apraxia. Brain models of language representation. Augmented kinematic feedback and the treatment of neurogenic speech disorders. Speech production and perception: Acoustic phonetic features, coarticulation and speech motor planning. Development of speech in children. Compensatory articulation and speech motor control. Cue-trading relations at the prosody/syntax interface. Treating verbal apraxia with biofeedback. 2001–2001	Dallas Area Speech Pathology Association (DASPA). 2001. 1992–1992	William's Syndrome Association/ Southwestern Regional Conference, 1992. Kinematic analyses of speech production. 2000–2000	UT Southwestern Medical School/ Neurology Seminar Series. 2000. Williams Syndrome: Current research perspectives. William's Syndrome Association/ Southwestern Regional Conference, 1992. 1994	128th Mtg. of the Acoustical Society of America, Austin, Tx. 1994. New avenues in apraxia intervention. 2018–2018	UT Southwestern Medical School/ Vascular disease/Stroke Team. Feb., 2006. Member, New York Academy of Sciences, 1986-1992. Member, Academy of Aphasia. 1986 - present. Member, Acoustical Society of America, 1987 - present. Member, American Speech and Hearing Association, 1990 - present. Associate, Behavioral and Brain Sciences, 1990 - present. Member, International Phonetics Association, 1992 - present. Member, Linguistics Society of America. 1986 - present. Member, National Aphasia Association, 1990 - present. 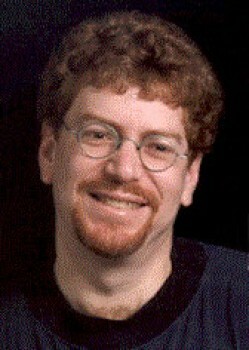 Callier Research Scholar, 2006; 2007. I am a professor in the University of Texas at Dallas' School of Behavioral and Brain Sciences. After receiving my Ph.D. in linguistics from Brown University (1987), I spent four years as a post-doctorate fellow at the University of California San Diego. I have also served as a visiting scientist at the Universities of Goettingen and Konstanz, Germany. My research interests focus on how humans represent and use speech and language. I approach this topic within the theoretical framework of neurolinguistics: a discipline concerned with how the brain represents language, how this process develops throughout life, and how it is affected by disease. Within the discipline of neurolinguistics, I have concentrated on phonology (sound systems and rules) and phonetics (the nature of speech sounds). An important method for understanding the phonology/phonetics of language is to study the speech of subjects whose linguistic systems are impaired as the result of brain injury. These subjects may serve as experiments in nature in that their impaired linguistic systems often fractionate in highly specific ways, revealing underlying patterns of language structure and processing. In particular, I have investigated the speech production capability of individuals with aphasia and apraxia of speech (AOS). Aphasia refers to disorders of language resulting from brain injury occurring in individuals who have acquired language prior to the injury. With damage to the anterior left hemisphere of the brain, patients typically suffer from a nonfluent or Broca's aphasia in which speech production is greatly impaired while auditory comprehension is relatively spared. The slow, halting, nonfluent speech, which generally accompanies Broca's aphasia, may also be termed apraxia of speech, difficulties with motor output during volitional speech. By carefully comparing aphasic/apraxic subjects' speech capabilities with their neurological profiles it is possible to build detailed models of the neural representation of speech production. My independent contribution to the field of neurolinguistics has been to integrate kinematic and acoustic/perceptual data in order to examine language breakdown in terms of linguistic organization principles. This work has led to new insights concerning the functional organization of language and how motor-speech processes may be represented in the brain. I am currently working on projects investigating (1) the role of the cerebellum in adult speech production, (2) kinematic biofeedback as a means of remediating stroke-related speech disorders, (3) the development of coarticulation in children's speech, and (4) adults' perception of children's vowels. A UT Dallas professor’s collaboration with a local high school student has resulted in a scholarly paper, an upcoming professional presentation and numerous awards and accolades for the up-and-coming scientist. 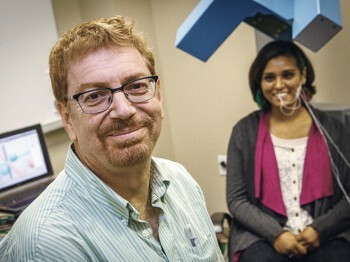 For the past two years, Divya Prabhakaran, a senior at Plano East Senior High School, has worked with Dr. William Katz, a professor of speech science and neurolinguistics in the School of Behavioral and Brain Sciences, to research systems that provide visual feedback for speech therapy patients. 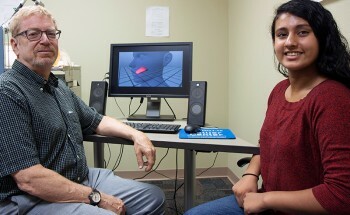 A new study done by UT Dallas researchers indicates that watching 3-D images of tongue movements can help individuals learn speech sounds. According to Dr. William Katz, co-author of the study and professor at the Callier Center for Communication Disorders, the findings could be especially helpful for stroke patients seeking to improve their speech articulation. Issues involved in communication disorders are so complex that cross-disciplinary efforts are often required to figure out solutions. To inspire and nourish crossover projects, the University launched the Communications Technology Center, a collaborative effort among the School of Behavioral and Brain Sciences (BBS), the Jonsson School and the School of Arts and Humanities. Housed on the University’s main campus, the center provides space and tools for research and the sharing of ideas among scientists, clinicians and students who use their expertise to invent and assess new technologies and treatments for people facing communication challenges. RICHARDSON, Texas (Feb. 22, 2005) — Dr. William F. Katz, an associate professor of communication disorders in the School of Behavioral and Brain Sciences at The University of Texas at Dallas (UTD), has won a grant from the U. S. Department of Veterans Affairs (VA) to study apraxia of speech (AOS), a neurological disorder characterized by an inability to correctly produce speech, despite having the desire and physical ability to do so. Katz’s research will focus on brain damage resulting from strokes that cause difficulty coordinating speech movements. Katz is a co-investigator on the $590,000 award, which will be a joint project involving UTD and the Dallas and Pittsburgh VA hospitals. The grant will be awarded over three years. UTD’s share will be approximately $300,000. Male military veterans who have a combination of post-traumatic stress disorder (PTSD) and mood disorders are more likely to experience sleep apnea, according to a recent study involving a researcher at The University of Texas at Dallas. The study was published online recently in the journal The Primary Care Companion for CNS Disorders. 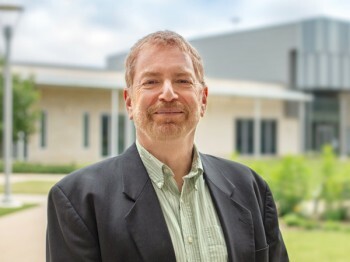 “It is already known that there is a higher incidence of sleep apnea in patients with major depression or PTSD, but there seems to be an even higher bump in apnea when they go together,” said Dr. William Katz, professor of communication disorders in the School of Behavioral and Brain Sciences.